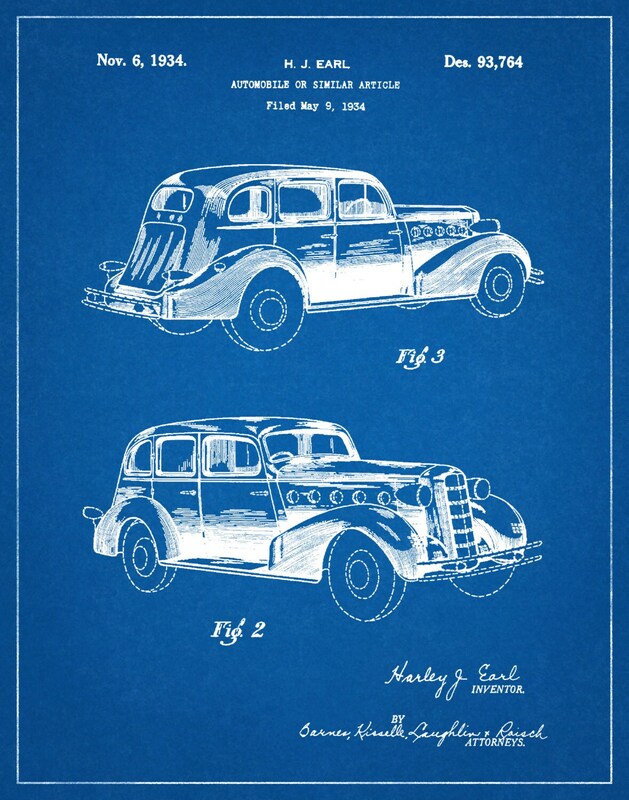 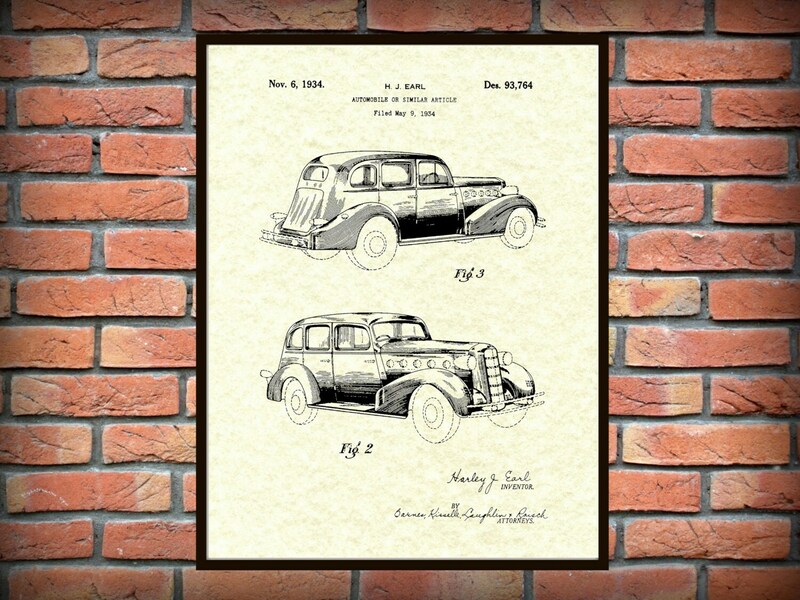 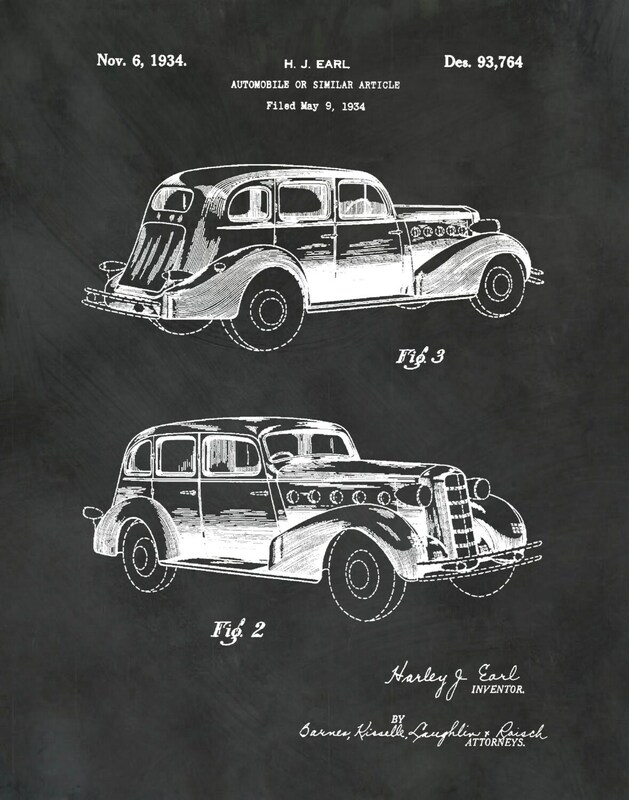 1934 LaSalle Auto Patent designed by Harley J. Earl for General Motors. 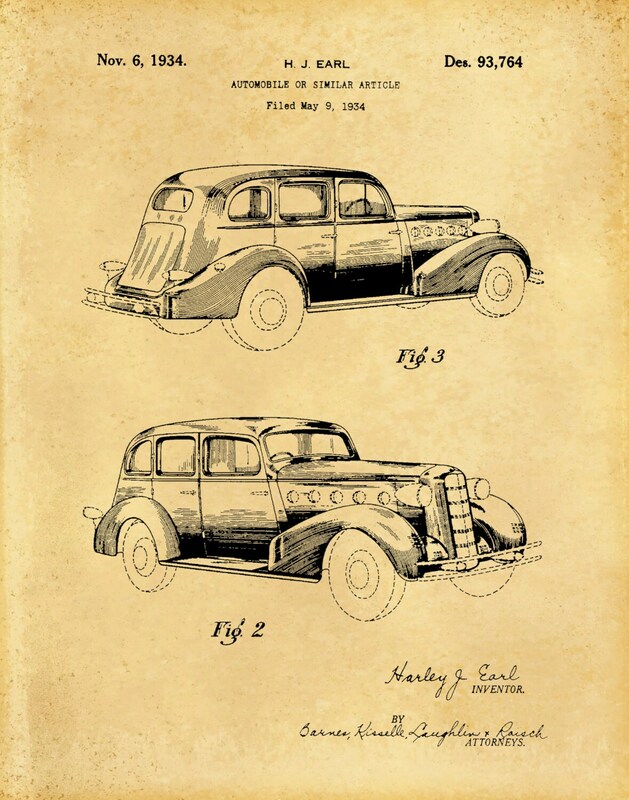 This car was designed as an 8 cylinder car, lighter weight and offered as a more affordable, sporty version of the Cadillac. 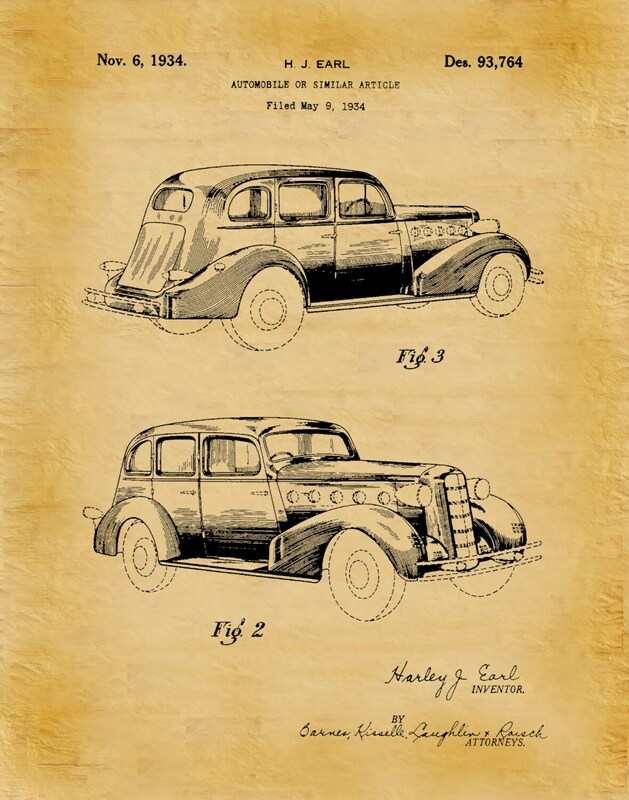 The patent was issued by the United States Patent Office on November 6, 1934.